Well a new gun/old gun shop reopened right down the road from me. Talked to them and looked at some work they did on barrels threading them for a brake. A1 work. He is going to break the rifle down for me to have the muzzle threaded. It will have a Fat bastiage Gen 2 self timing brake put on it to take the savage beast as it comes in close to the 338 Papua Magnum for abuse of the shoulder. It had a bolt on muzzle brake. It worked but I hate having to check it every time. My buddy has a Rem 700 .300 rum with no brake. Feels like getting hit with a 4lb sledge. I shot it 4 times at the range and I was done lol. My Brother has a 300RUM with a super nice brake, his 300RUM has less kick then my 6.8 SPC AR.... maybe a little exaggerated but needless to say, its fun to shoot with that brake. The Barrel came back from the gunsmith Saturday they are going to put my rifle back together and the first of the month I will order the Fat bastiage Brake. Barreled Action came back last week. The new gun store had a grand opening so I told him to take his time. The barreled action muzzle brake threading was excellent. 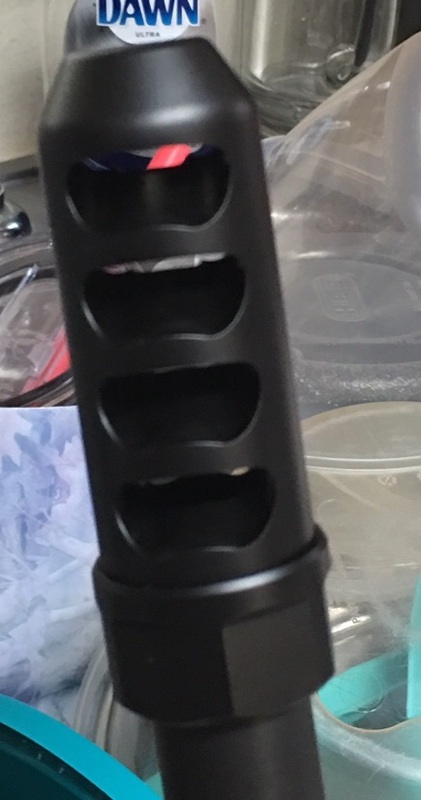 Ordered a APA Gen 2 Fat bastiage Self Timing muzzle Brake. It appears my trigger got damaged in the shipment. The store is replacing it since it was insured. Hopefully my muzzle brake will be in. A nice Timeny Trigger set at 2 lbs with the wide trigger.... I think I am going to send another rifle out for threading and let the UPS man mes the trigger out. FWIW, Nosler is running a closeout sale on .300RUM ammo right now. I got a gun shop near my house to order me some. It comes to the shop in a big shipment of goods and I get to pay $0 for shipping.